Venezuelan intelligence agents have “kidnapped” a top aide to interim leader Juan Guaidó following a middle-of-the-night raid at gunpoint, where agents allegedly planted firearms and a grenade to justify the arrest. 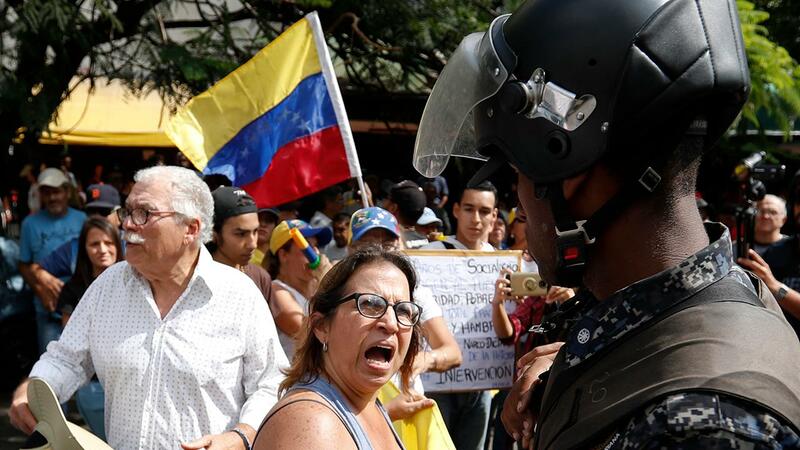 The detention of Guaido’s chief of staff, Roberto Marrero, came shortly after the Venezuelan authorities entered and searched the homes of Marrero and opposition lawmaker Sergio Vergara on Thursday. Vergara said he was woken up by heavy banging at his door and agents pointing weapons at him. Guaido accused the regime of kidnapping and urged it to release his aide, whose location remains unknown, the BBC reported. The opposition leader said Venezuelan intelligence agents planted “two rifles and a grenade” at his aide’s home during the raid. “We don’t know where he is. He should be freed immediately,” Guaido tweeted. The Trump administration, meanwhile, condemned the raids and threatened Maduro’s regime with consequences. Vergara was reportedly also briefly detained following the raids. According to the BBC, he said over 40 heavily armed officers from the intelligence agency raided the properties. Most Western governments, including the U.S., are backing Guaidó and recognize his legitimacy. Venezuelan prosecutors say Guaidó is being investigated for alleged links to violence as well as for any connection to the nation’s worst power outages that plunged the country into darkness for extensive time periods. Venezuelan government officials directly blamed the U.S. -- including Florida Senator Marco Rubio -- for the outages. More reliable sources peg the blackouts as being caused due to crumbling infrastructure.